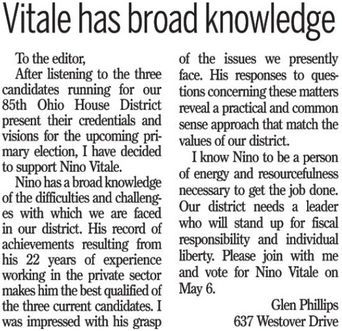 The following people & organizations have publicly endorsed Nino Vitale for State Representative of the 85th District. 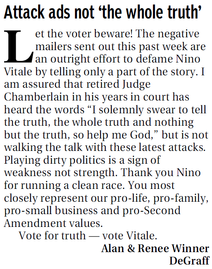 Come back as we continue to build support and add more. 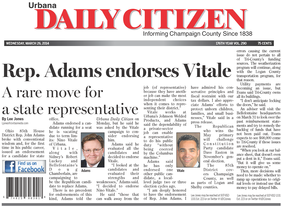 Urbana, Ohio – Conservative State Representative John Adams officially endorsed Nino Vitale for the open seat in House District 85, which includes all of Champaign County and parts of Logan and Shelby Counties. Adams is term-limited at the end of 2014, after holding the seat for four terms. 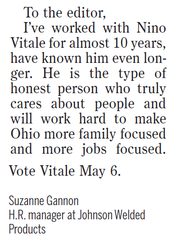 “Nino Vitale’s private sector experience and proven job-creating ability is what we need in Ohio. 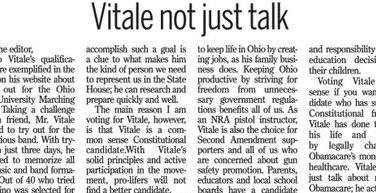 Vitale is pro-life, pro-family, and is a strong supporter of the Second Amendment. 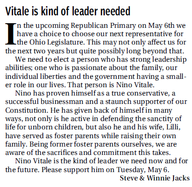 Nino is the conservative that we have come to expect to represent us in Columbus,” said Adams. 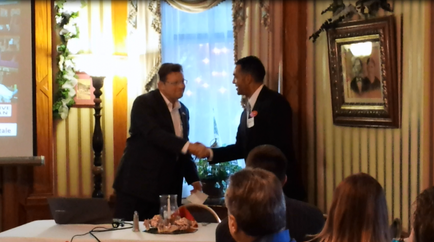 Read the full press release by clicking HERE and watch the video above. 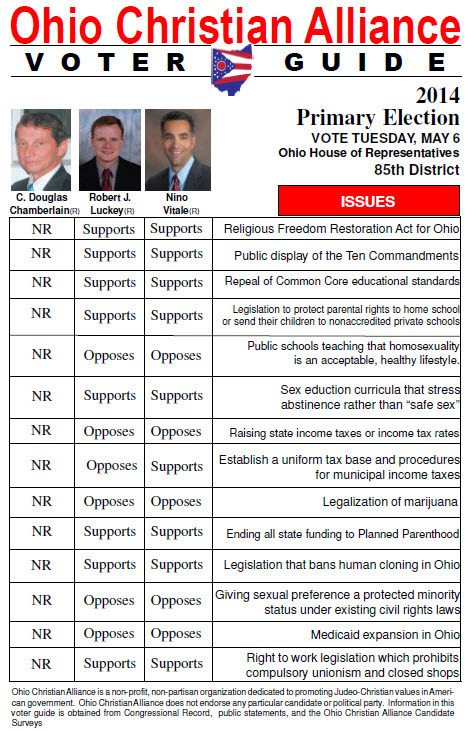 The Ohio Christian Alliance Voters Guide for the district is out. Have you seen it? 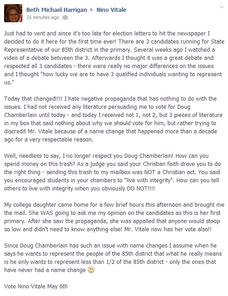 See how the candidates have answered before you vote this Tuesday. Click the image at left to view the results. 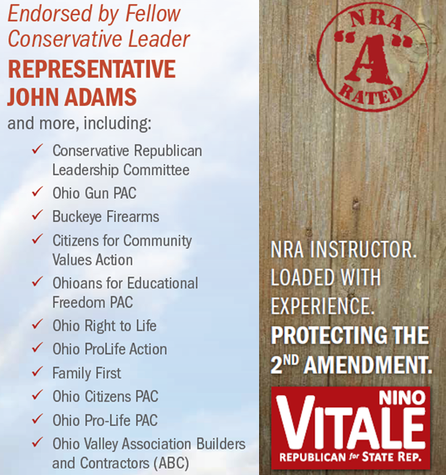 Below are Nino Vitale's other 3rd party endorsements. 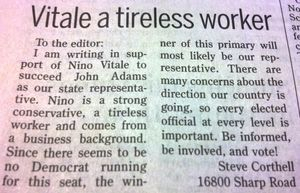 A letter from my wife to the voters of the 85 District.